This beautiful open 2-story has a guest suite on the main floor and a bonus room on the second level. The gourmet kitchen has granite counters, gas cook top with stainless hood vented to the outside, double oven and a large island. The home features a 3 car garage and covered lanai that overlooks the lake. 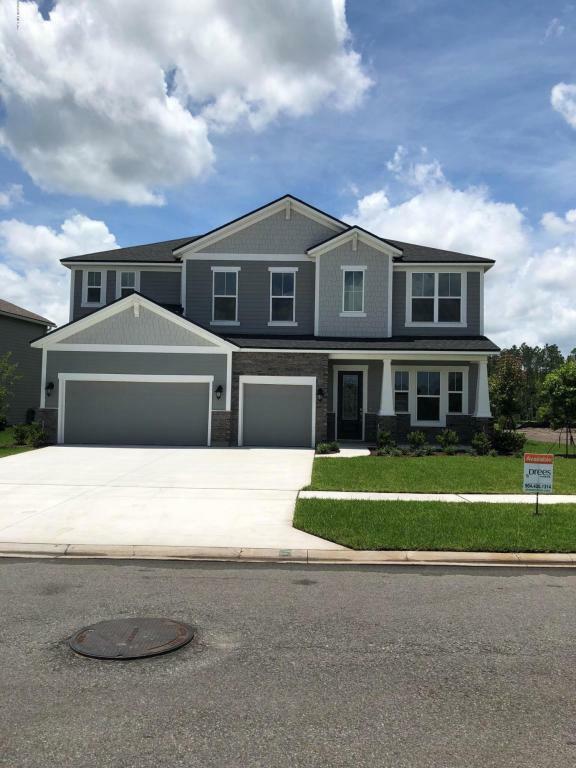 This home is in the new Creekside community at Twin Creeks and has many amenities! Higher efficiency R-38 ceiling insulation and R-19 wall insulation.